(W) Durwin S. Talon (A/CA) E. G. Thompson. WHY WE LOVE IT: This is one of the most heartwarming family tales we've ever read. Everyone remembers the first person who inspired them to follow their dreams. This beautiful and elegant fable pays tribute to all our loved ones. WHY YOU'LL LOVE IT: Weaving historical fiction and fantasy together, Durwin S. Talon and E. G. Thompson remind us of the power of stories, both those from our imaginations and, more importantly, those from our own lives. 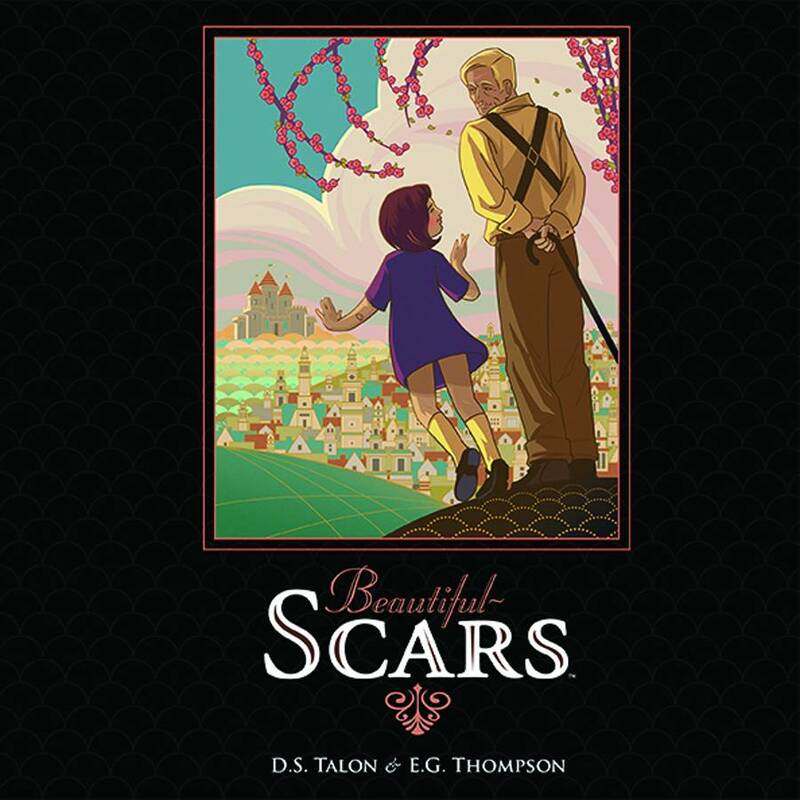 WHAT IT'S ABOUT: BEAUTIFUL SCARS tells the story of Ridley Bourne as he explains to his granddaughter how he got each of his scars, each one gained through either a sad or uplifting adventure. Through his tales, she learns how to tell her own stories and how to hold on to his through her own, magical retelling..